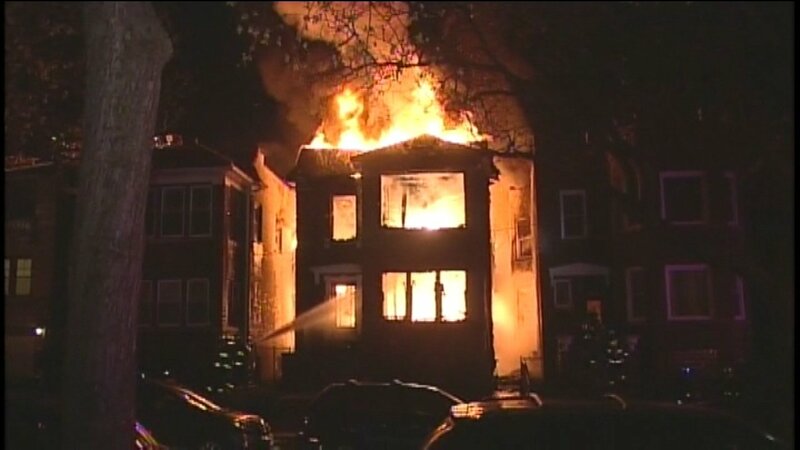 CHICAGO (WLS) -- Chicago fire officials said Tuesday a massive blaze at an apartment building on the city's Northwest Side did not result in any injuries, despite the damage. Large flames were already shooting from the roof when firefighters got to the scene around 2 a.m. near North Monticello Avenue and West Argyle Street in Chicago's Albany Park neighborhood. CFD Battalion Chief David Dietz said the fire spread from a building under construction to buildings on both sides. The fire was extinguished before 6 a.m. It forced several people out of their homes.